What Part Does the Chicken Nugget Come From? Every kid I know would gobble up some of these deep-fried “treats” but the million dollar question is what part of the chicken exactly is the chicken nugget from? Seriously guys this is not food. 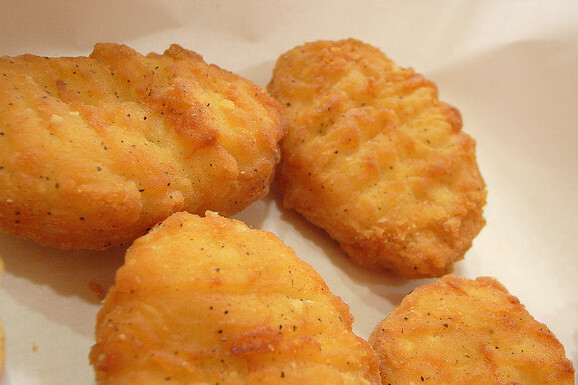 Nuggets contain cancer causing agents, Dimethylpolysiloxane which is a type of silicone that is used in breast implants, phosphates and more. This stuff is NOT made from God. This is human “experimenting” at its worst and people feed this to their growing children, so their teeth are going to be made from silicone?! What is food? It helps us grow, and regrow. 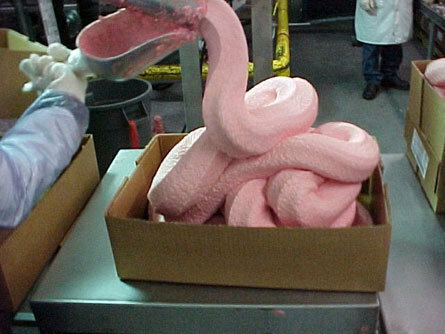 It makes skin and cells and teeth… The next photo is disturbing… this is what a chicken nugget looks like before it looks like a chicken nugget, brace yourself. Why is it pink? And not flesh pink, that is cotton candy pink. GROSS! In 2009 my husband and I moved from Portland, OR (“the big city”) to a small town about 45 minutes from Portland. We had a landlord who wouldn’t allow us to have a garden, and if we did everything had to be in containers which then had to be completely cleaned up at the end of the growing season. We saw a movie called Faith Like Potatoes, if you haven’t seen it I highly recommend it. In the movie (which is based on a true story) a farmer in South Africa grows potatoes, and had to put his faith that God would provide a good crop. See when you plant a potato they grow underground. It isn’t until harvest that you actually see the fruits of your labor. Will you have potatoes at all? Will they be big? Small? You have to have faith that God will provide you a good crop. Hubby connected with that and his desire was to grow potatoes. So when we moved from Portland, he asked our landlords if he could grow potatoes. They agreed. After that he wanted to have chickens for eggs. Then agreed. And slowly we started getting into growing our own food and truly knowing where it all comes from. So guys were the ones picking up the chickens and cutting their heads off. They then threw the flailing birds into the bushes until they stopped moving. Yep, they could run with their heads cut off! Then they are picked up by the feet and dunked into a large pot of boiling water so that the feathers come off easier. Then there is a group of people who remove the feathers (they have since upgraded to a plucking machine, which spins the bird around a container with plastic knob things in it to remove the feathers). Next the feet are chopped off and they go into a bucket (to keep and make chicken stock for soup), then the insides are cut into and the good organs are kept and put into ice water. There are a few organs that you don’t keep and those go into a slop bucket, but things like the liver and heart and gizzards… those you keep and EAT. The chickens are then washed with a hose, and then they are put into ice/ice water until you can wrap them. I want to take a little side note to talk a bit about the organs. I actually have really bad teeth, and no dental insurance go figure. In my searching of natural medicine/foods etc. I found a book called Cure Tooth Decay With Nutrition by Rami Nagel. He uses a lot of research done by Winston A Price for the basis of his book. 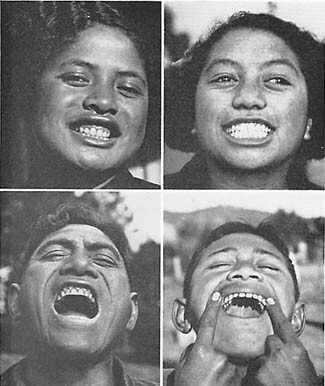 Basically Dr. Price found that in cultures that were industrialized they had higher cases of tooth decay, and in places where they drank raw milk from grass-fed cows, and they ate all of the animal that was killed, there were significant reduction in tooth decay, some never saw a dentist ONCE in their life! In our industrialized society we are in the same boat, we are not eating naturally, we are not eating what God gave, but processed garbage then expecting our body to run optimally on junk. The below people all have strong healthy teeth because of their diet, not because they had root canals and fillings and whitening treatments. Check out Winston A Price’s book for more info, Rami Nagel’s book for more info or the Winston A Price foundation. The experience of butchering a chicken wasn’t as horrible as I thought. I didn’t chop a head off though, but I had a lot of blood on me. We asked for a bunch of the organ meat, we got some chicken and our last time even all the chicken feet. (which are still sitting in my freezer, shame on me!) Now butchering meat rabbits, that is a whole different story. We tried that for a while, but we are too sensitive for that (they scream, ugh). We were so proud to know where our chickens came from, who took care of them, how they lived, how they died. God gave us dominion over the earth but he never said we should be cruel to his creation. 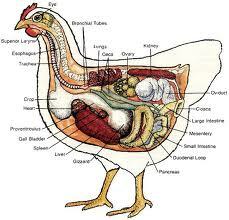 Chickens should be able to roam free, not stacked on top of each other or fed horrible growth hormones. Please watch Food Inc if you haven’t. BBQing up a freshly butchered chicken, I tell you there is nothing like it. Knowing you worked for your food, again there is nothing like it. The last thing that I think most of us “industrialized” folk don’t do is make a bone broth after your done with your food. Right now I’m drinking turkey bone broth soup from our Thanksgiving bird. Don’t let your food go to waste! There are important minerals, calcium, magnesium and phosphorus in there. Things we need. These are leached out of the bones when you cook them in water. If you are doing beef, you need to cook them in the oven for a bit first. This was told to me by a naturalpathic doctor that I was seeing once. She said that the beef bone is harder and in order for it to work right and get the most nutrients you need to cook the bones a bit. Which sounds weird because you have probably already cooked your beef, but it couldn’t hurt to cook the bones alone right? I google searched it and you are to bake the bones for 30-40 minutes on 400 degrees or an hour on 350 degrees. Chicken and turkey is much easier, eat the meat, leave the stragglers and put in a pot on your stove to heat. I usually turn the stove on low and just walk away, easier still it can be left overnight, and you can use a crock pot if you don’t want to leave your stove on all night. Once it’s done, let it cool, strip the bones clean (toss them or compost them as long as you don’t have dogs) then save the broth. You can add whatever you want, carrots, celery, potatoes, rice, beans… whatever floats your soup boat. Just get that nutritious stuff into your body. In our home if you have meat on the bone one night, then you better believe dinner the next night will be soup. Start making that a tradition in your own home, and lets get this temple healthy! Ya know…I am so glad that you responded to some of my blogs because your site is Awesome! So informative and interesting plus, I can tell the love that inspires you to do this. Thanks! P.S. I’ve had friends give up so many different types of food because of Food Inc. We really ought to be careful in what we destroy our temples with.